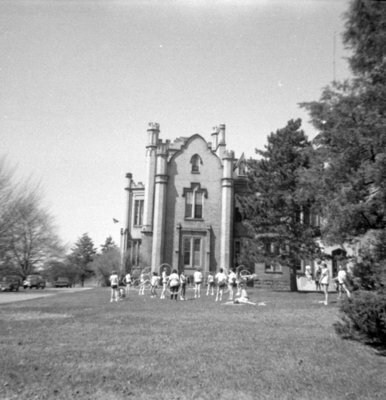 A black and white photograph showing students on the side lawn at the Ontario Ladies' College. Ontario Ladies' College, April 23, 1970, Brian Winter. Whitby Archives A2013_004_384.